I have seen some questions from people looking for information on developing Mac apps in Swift. To help people who want to write Mac apps in Swift, I’ve written this tutorial that walks you through creating a simple Mac app in Swift. The app generates and displays a random number when you click a button. The first step is to open Xcode and create a project. Choose File > New > Project to create a new Xcode project. The New Project Assistant opens. The project is a Mac app so click the macOS button at the top of the window. Select Cocoa App. Click the Next button to move on to the next step. Enter the name of the project in the Product Name text field. Select None from the Team menu. You need a team only if you’re going to submit an app to the Mac App Store. This project is not going on the Mac App Store. Enter either your name or a company name in the Organization Name text field. Use the organization name to fill out the organization identifier, which takes the form com.OrganizationName. Choose Swift from the Language menu. Select the Use Storyboards checkbox. Deselect the Create Document-Based Application and Use Core Data checkboxes. This project is not a document-based application and does not use Core Data. This project does not use unit tests or UI tests so you can deselect the Include Unit Tests and Include UI Tests checkboxes if you want. Click the Next button. Choose a location to save your project. Click the Create button to finish making the project. After creating the project you should see a list of the project’s files on the left side of the project window. You’re going to work with two files in this tutorial: Main.storyboard, which contains the user interface, and ViewController.swift, which contains the source code for the view controller. Let’s start by building the user interface. Select the Main.storyboard file to open it. 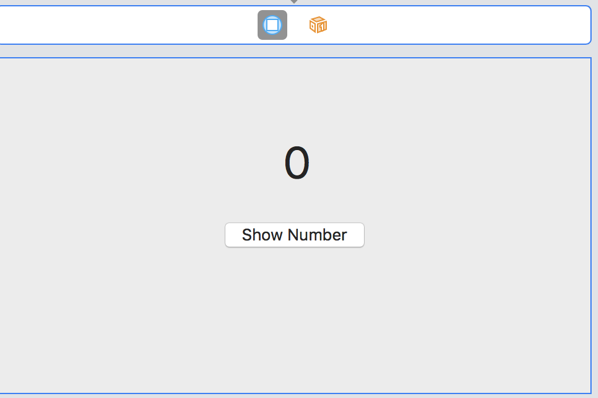 The user interface for this project has two items: a label to display the random number and a button to click to generate the random number. Drag a label and a button from the object library to the view controller scene. 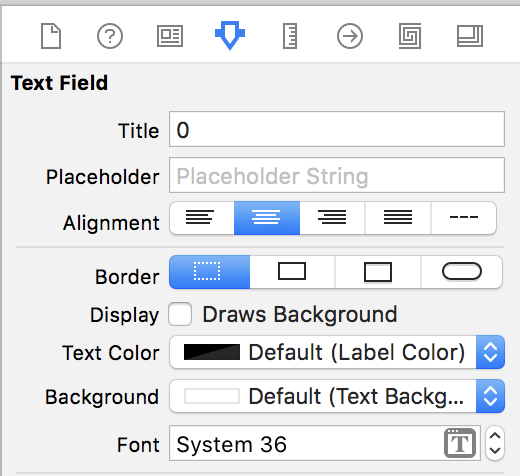 If you’re using Xcode 10 or later, the button to access the object library is on the right side of the project window toolbar. If you’re using an earlier version of Xcode, the object library is in the lower right portion of the project window. To configure the label select it in the canvas and open the attributes inspector. Enter the text 0 in the Title text field. Center the text from the Alignment segmented control by clicking the second button. Use the steppers (up and down arrows) next to the Font text field to increase the size of the text to 36 points. Resize the label if you need to so it’s big enough to show two digits with the larger text. Select the label in the canvas to resize the label. Now that you created the user interface, you want to access the label and button in your code. Create outlets so you can do this. Outlets are variables in your code that hold items in your project’s storyboards and xib files. The first step to creating an outlet is to open the assistant editor so the storyboard and source code file are both open. Choose View > Assistant Editor > Show Assistant Editor to open the assistant editor. Open the file Main.storyboard in one editor and the file ViewController.swift in the other editor. Enter a name for the outlet in the Name text field. 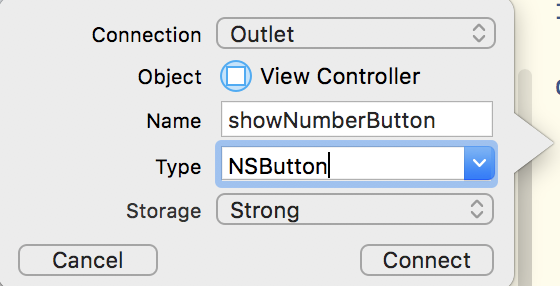 Notice how Xcode knows the type is NSButton. Click the Connect button to finish creating the outlet. Make sure the outlets are connected with filled-in circles like they are on the left side of the screenshot. If the outlets aren’t connected, the app will crash when you try to access the outlets. When someone clicks the button, the app should generate a random number and display it. 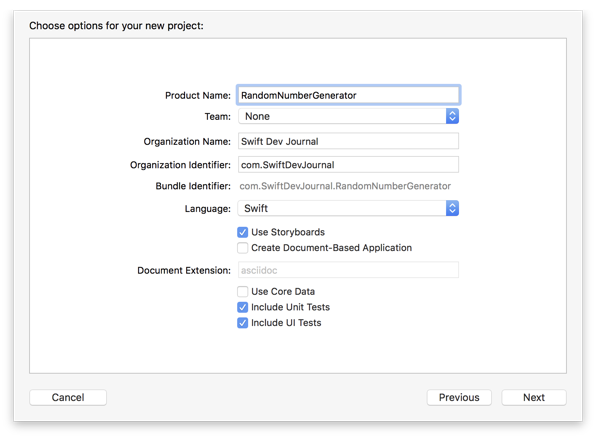 Create an action so you can add the code to generate the random number and display it. An action is a function that is connected to an item in your user interface. Clicking on the item calls the action. Creating an action is similar to creating an outlet. Select the button and control-drag to the ViewController.swift file. When you see the Insert Outlet or Action, let go of the mouse button to open a popover. Make sure the action is connected on the left side of the editor or nothing will happen when you click the button. Now it’s time to write some code. There are two functions you need to write. The first function generates a random number. The second function updates the label with the random number. But I didn’t want to hardcode the values so I created the two constants for the minimum and maximum values. The code sets the label’s text to the value of the number I passed to the function. The description property holds the string representation of the number so it can be displayed in the label. The last thing to do is to call the two functions in the showRandomNumber action. If you don’t add the code to the action, nothing will happen when you click the button. Click the Play button in the project window toolbar to build and run the project. When you click the Show Number button, a new number appears above the button. I have the project on GitHub if you run into any problems. If you’re looking to build on this project, I have a few suggestions. 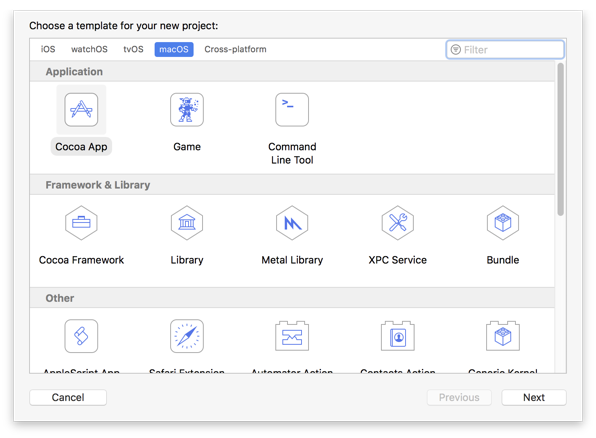 Try creating the project with a xib file instead of a storyboard. Deselect the Use Storyboards checkbox when creating the project. You’ll be using the AppDelegate.swift file instead of ViewController.swift. Add arguments to the generateRandomNumber function for the minimum and maximum values so you can specify the minimum and maximum values for the random number generator. Add text fields to the user interface so people can specify the minimum and maximum values for the random number generator.